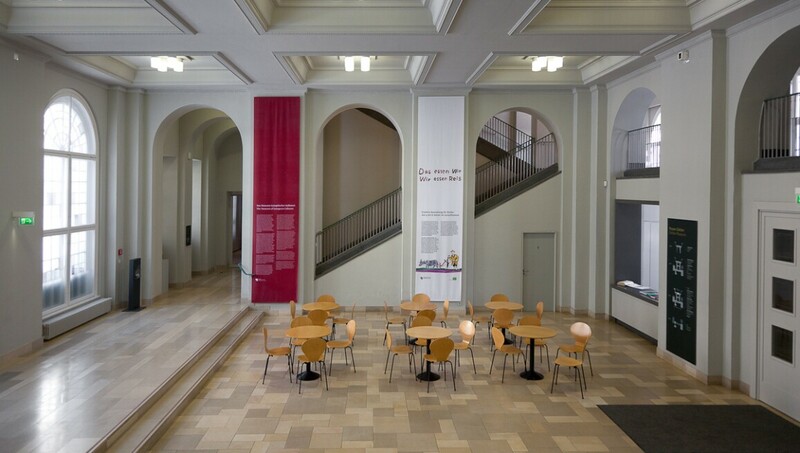 The Museum Europäischer Kulturen is dedicated to collecting, researching, preserving, presenting and raising awareness of artefacts of European everyday culture and human lived experiences from the 18th century until today. The collection is primarily on display in the permanent exhibition 'Cultural Contacts: Living in Europe,' in a public study collection known as the Contemporary Showcase, and in rotating exhibitions. With various events such as the annual'European Cultural Days,' Textile Day, and the Fête de la Musique, the museum showcases different European cultures and their various artistic traditions.